MIE Seminar Series: "Controlled synthesis of graphene by chemical vapour deposition"
Graphene and other two-dimensional (2D) layered materials have been widely synthesized by chemical vapor deposition (CVD) to obtain high quality films. We have demonstrated multiple strategies to obtain grain-size, layer number and morphology controlled high quality single-crystal graphene domains on large scale. For example, we developed a backside carbon gettering (BCG) approach for CVD growth of graphene, which regulates the nucleation of graphene domains on the top side of the Cu substrate. In addition, we have improvised the configuration of Cu foil and form a bridge-shaped geometry which generates a confined space for the CVD reaction. More recently, we demonstrated a novel way of recrystallization the polycrystalline Cu substrate surface to single-crystal Cu(111) plane through melting and resolidification phase prior to growth step. Cu (111) surface promoted the epitaxial growth of graphene during CVD and highly orientated single layer as well as bilayer graphene domains were obtained over a large area. Consequently, our multiple approaches of engineering the growth substrate paved the way toward achieving high quality single crystal graphene for high performance ultrathin optoelectronic devices. Prof. Zhengtang Tom Luo is currently an associate professor with tenure at the Hong Kong University of Science and Technology. He has obtained his bachelor degree from South China University of Technology and PhD degree (in Polymer Science) from University of Connecticut, followed by postdoctoral training (Physics) at University of Pennsylvania. 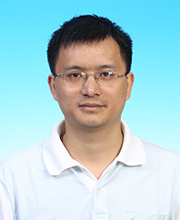 His research focus on materials chemistry and physics, and product development for applications in chemical industry. He is co-inventor of the two US patents. He serves as Editorial Board member for Journal of Macromolecule Science, Functional Materials Letters, Scientific reports, ACS sensors and as associate editor for AIP Advances. In 2010, he founded Graphene Frontiers LLC, a Pennsylvania-based company, which has attracted ~US $2M investments. His current research interest focuses on chemistry of graphene and 2D materials.